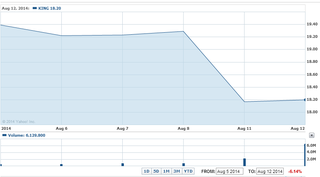 King Digital Entertainment, maker of Candy Crush, saw its stock drop 20% in value. Why? According to Deutsche Bank, they haven't been able to produce another hit, and they're losing players to Kim Kardashian: Hollywood.